Many people like to fuel their active lifestyles with protein powders, but a good one can be hard to find. 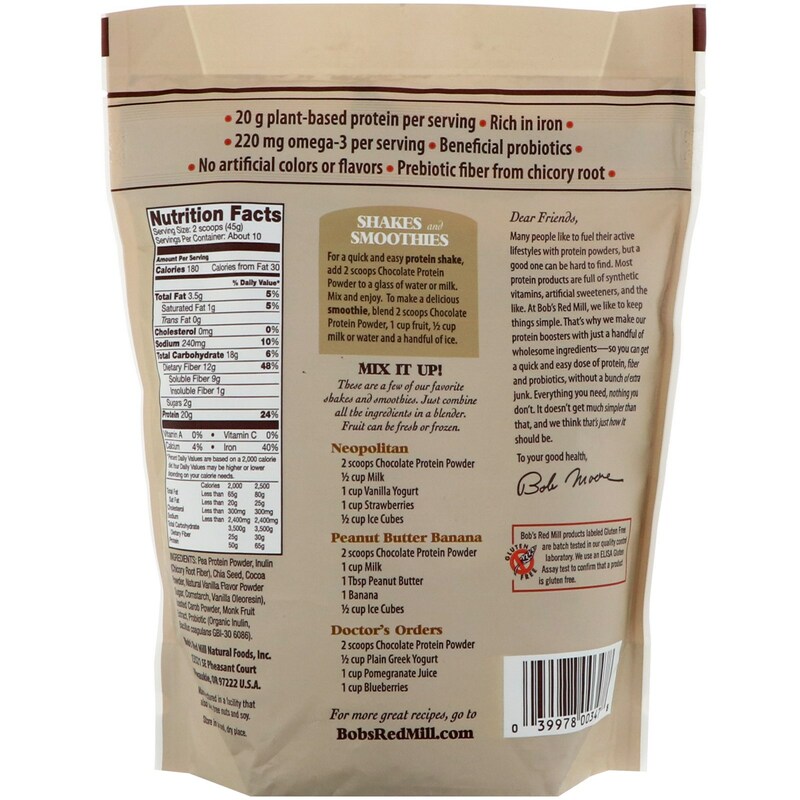 Most protein products are full of synthetic vitamins, artificial sweeteners, and the like. 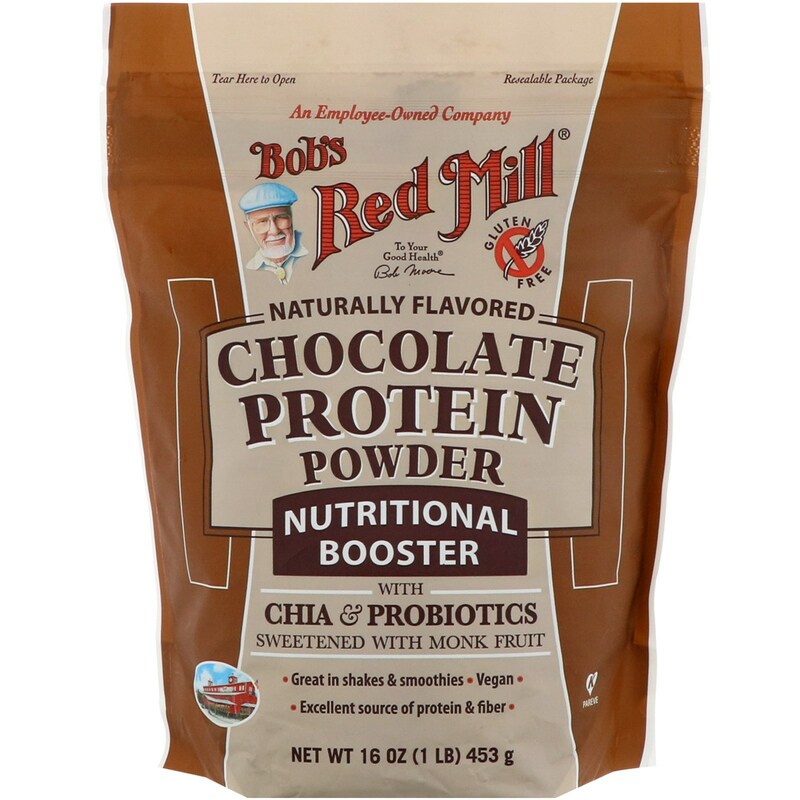 At Bob's Red Mill, we like to keep things simple. That's why we make our protein boosters with just a handful of wholesome ingredients–so you can get a quick and easy dose of protein, fiber and probiotics, without a bunch of extra junk. Everything you need, nothing you don't. It doesn't get much simpler than that, and we think that's just how it should be. To your good health – Bob Moore. For a quick and easy protein shake, add 2 scoop Chocolate Protein Powder to a glass of water or milk. Mix and enjoy. To make a delicious smoothie, blend 2 scoops Chocolate Protein Powder, 1 cup fruit, 1/2 cup milk or water and a handful of ice. 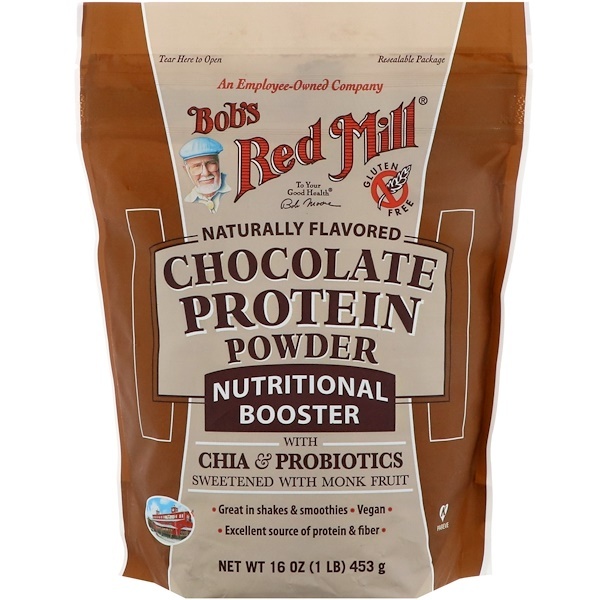 Pea protein powder, inulin (chicory root fiber), chia seed, cocoa powder, natural vanilla flavor powder (sugar, cornstarch, vanilla oleoresin), toasted carob powder, monk fruit extract, probiotic (organic inulin, bacillus coagulans gbi-30 6086).